If you'd like to go right to one of your own pages when clicking on an event in the calendar you can create a special type of custom action called an "event action" that navigates right to that item in your own view. Event Actions are custom actions that aren't run from a button in the event's action drawer but are instead called when you create, delete, or click on an event. 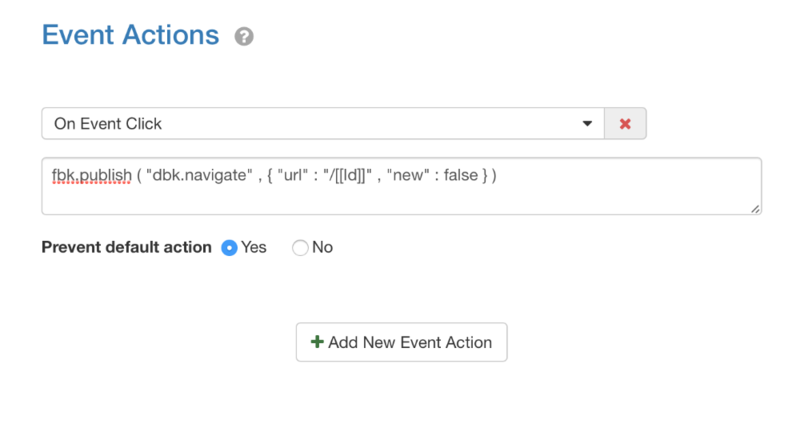 In the example above we've configured this navigation script to run when you click on an event and we've asked it to "prevent the default action": this means that users won't see the DayBack event popover they'd normally see when they click on an event, but will see the result of this navigation script instead. Finally, the script we run is the standard "navigate" function that comes with DayBack calendar: we've passed in the token "/[[Id]]" as the URL want to go to and "false" meaning that when a user clicks on an item we'll replacing the calendar view with a view of the item: setting that to "true" would have opened the item in a new tab. 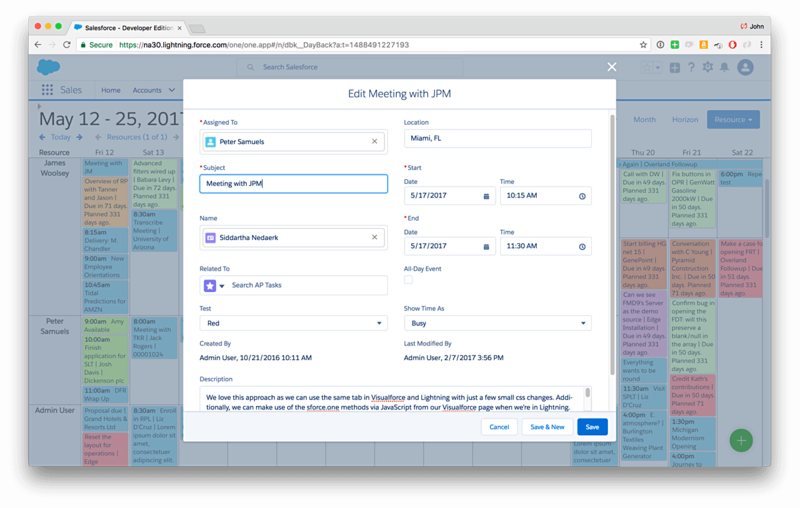 You'll find videos, example code, and instructions here: Add Your Own Fields to the Calendar- Using Lightning Modal Boxes in Salesforce. While DayBack for FileMaker can use a FileMaker layout instead of an event popover, you won't be able to do that in DayBack Online since the app is running inside your browser and has no access to render your layouts. You can, however, create custom actions that open an event in FileMaker Pro, Go, or WebDirect depending on the kind of URL you enter. More here: Custom Actions.